Fuel your evenings on home game days with our newest, juiciest bar menu addition. 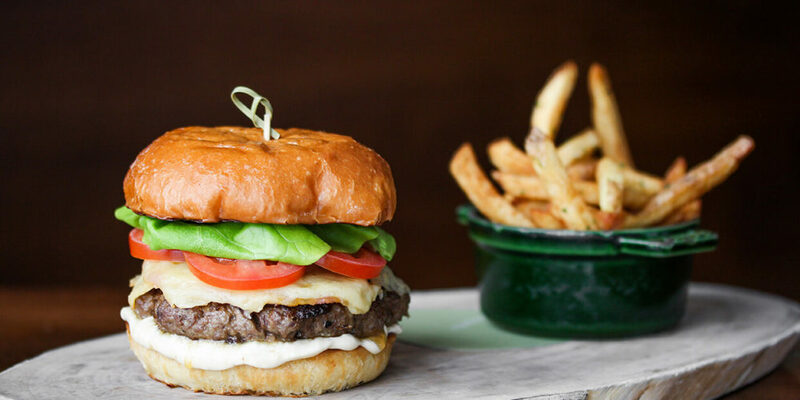 Sports fans and burger lovers alike: we invite you to sink your teeth into our Game Day Burger, available for dinner in the bar during home hockey and basketball games. Served with fries, this succulent 6oz brisket and braised shank patty sits inside a toasted brioche bun and is piled high with smoked cheddar, blue cheese, foie gras hot sauce, Canadian bacon and truffle mayo. After all, nothing fires up the appetite quite like skating across the ice or sprinting across the court—even if you’re watching all the action from a distance!